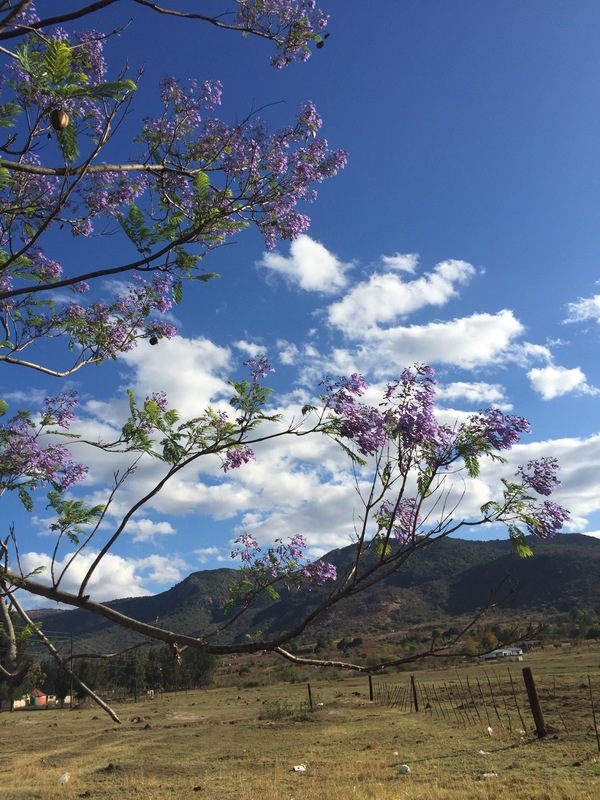 The jacaranda tree is one I had seen photos of before moving to Swaziland because of its beautiful flowers. I hoped that I would be lucky enough to see some in my community. Now that they have bloomed I can see so many of the trees! I did not know the tree was Brazilian, though. My family has a wonderful Southern Africa garden book that I have been able to consult along with my own plant and animal guide to learn about many of the plants I see regularly. The books say the jacaranda blooms in summer, so it must be that time of year. The trees are so lovely from afar and up close. My other new favorite tree is the coral tree. It was a spring-blooming tree, so I missed taking photos of its coral flowers. You will just have to wait until next year. This entry was posted in Africa, Peace Corps, Photos, Swaziland, Wednesday photo and tagged Africa, Flowers, Gardens, PCV, Peace Corps, Peace Corps Volunteer, photo, Swaziland, tree. Bookmark the permalink. 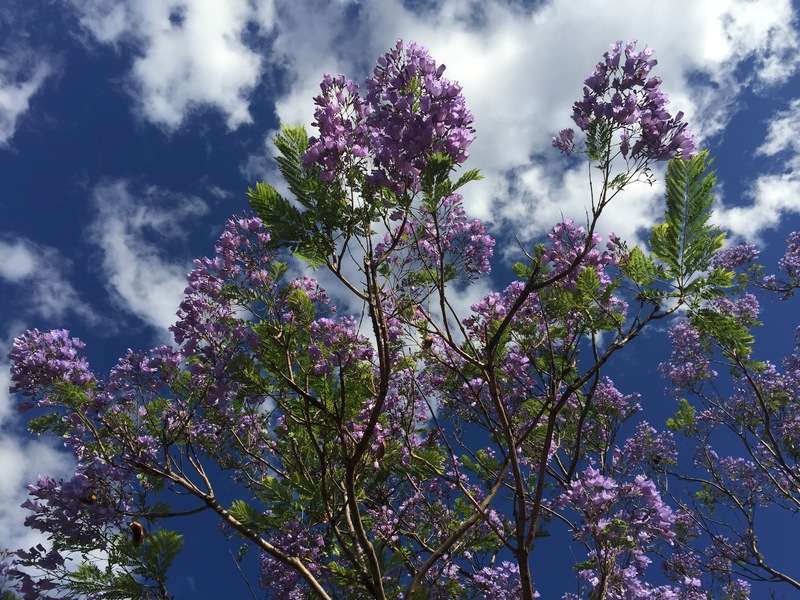 I too love the jacaranda trees….there were streets lined with them near my daughter’s house in Hawaii! Love the coral trees too!